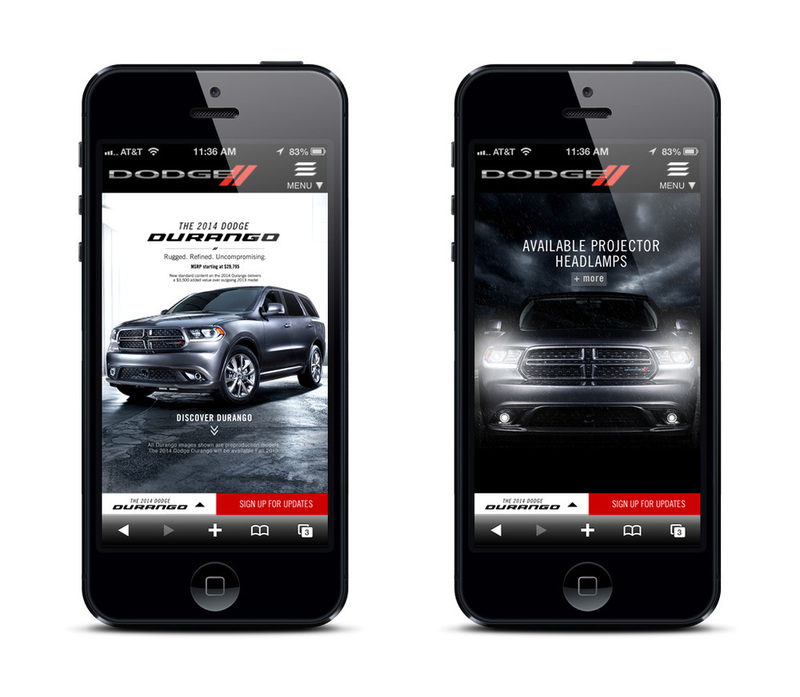 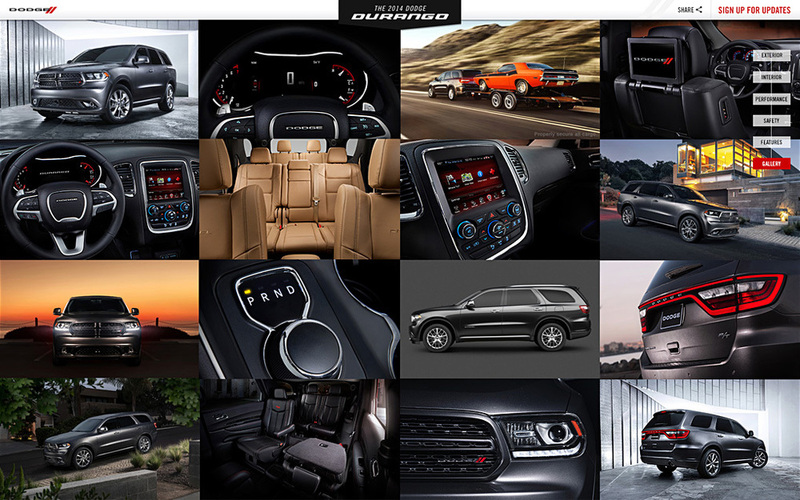 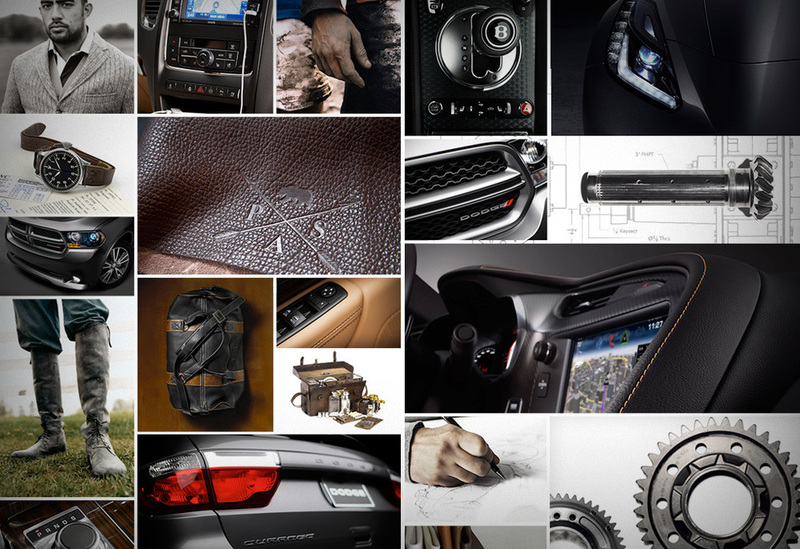 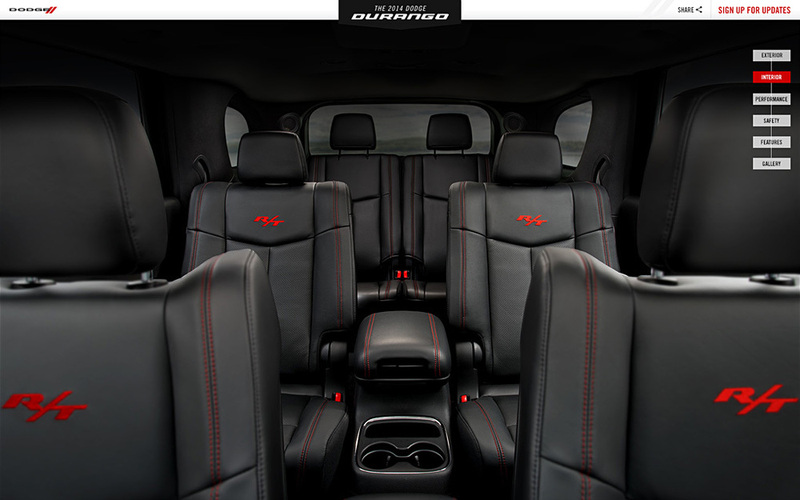 In an effort to support the launch of the 2014 Dodge Durango, we created an interactive teaser site that would give people a peek at the features of the vehicle and encourage them to sign up for more updates. 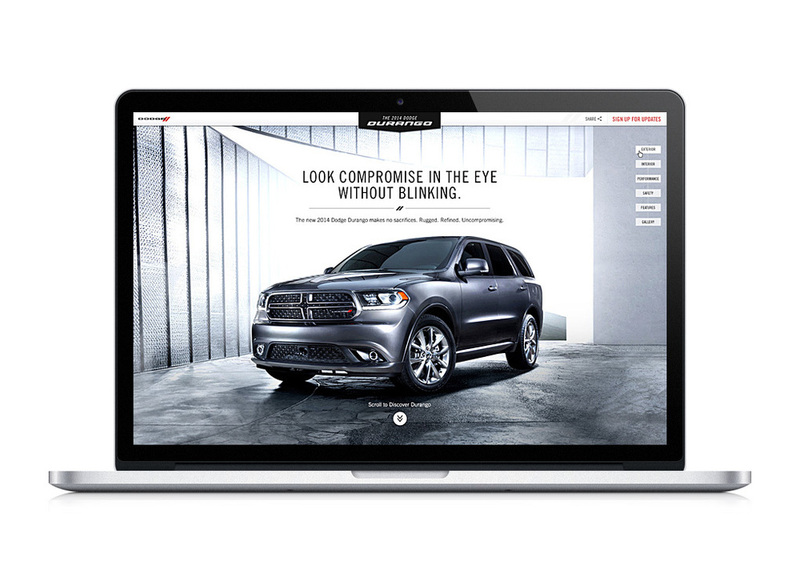 The site needed to be both informative and entertaining, with its own unique look and feel while still leveraging overall Dodge brand standards. 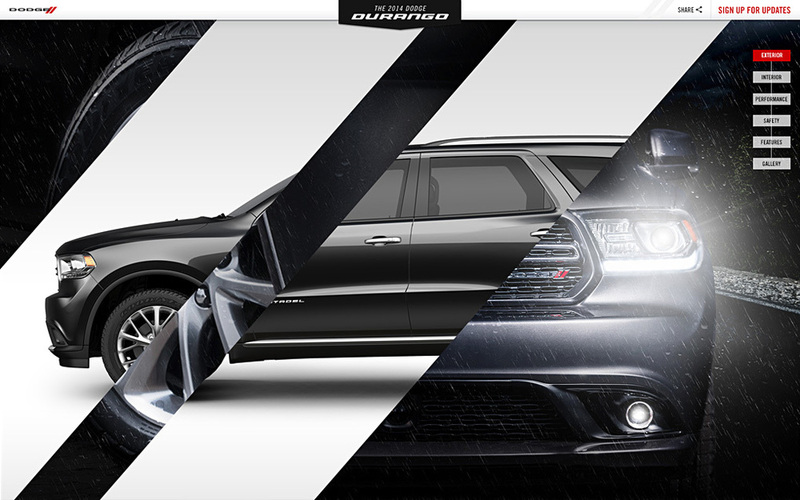 The site itself told the story of Durango's rugged yet refined personality and used a mix of photography and CGI to paint the full picture. 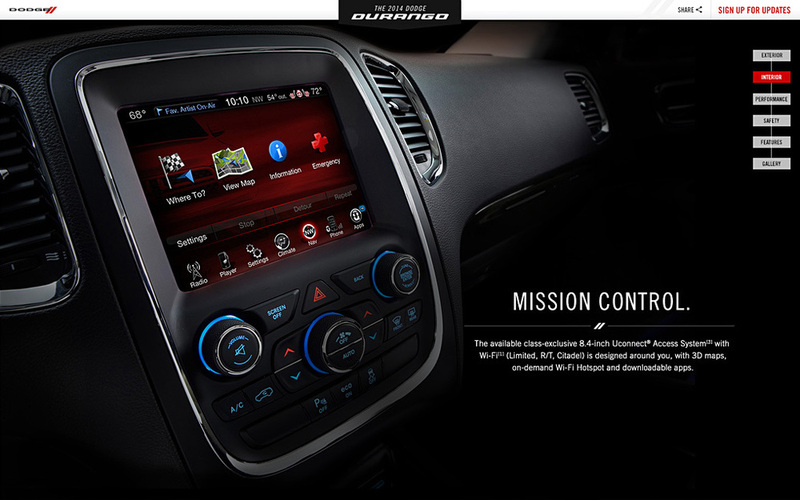 Users could scroll through key highlights of the exterior, interior, performance and safety, and even interact with various features along the way. 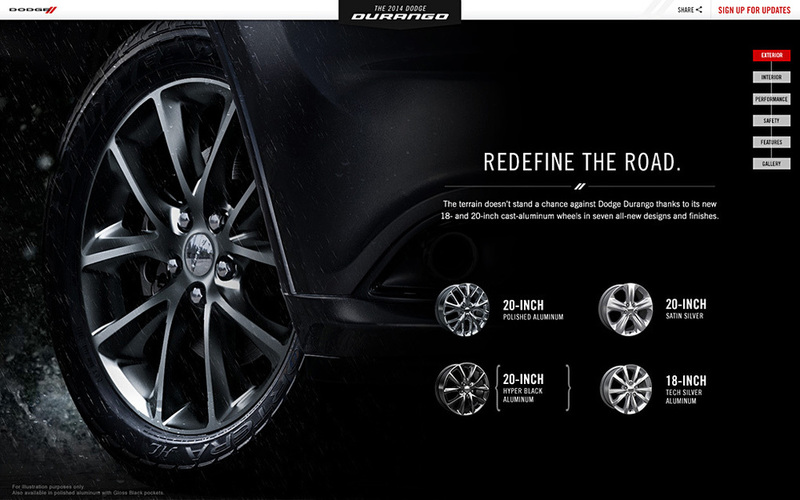 The site was designed to provide a smooth, parallax experience that surprised and delighted users as they discovered the various innovative features along the way.